I am a strong believer of 'small things matter' and 'it's the little things that count'. Without a doubt, things that we endure on a day to day basis can make me smile, things that do not cost like a simple gesture, a comment or spending time with someone. 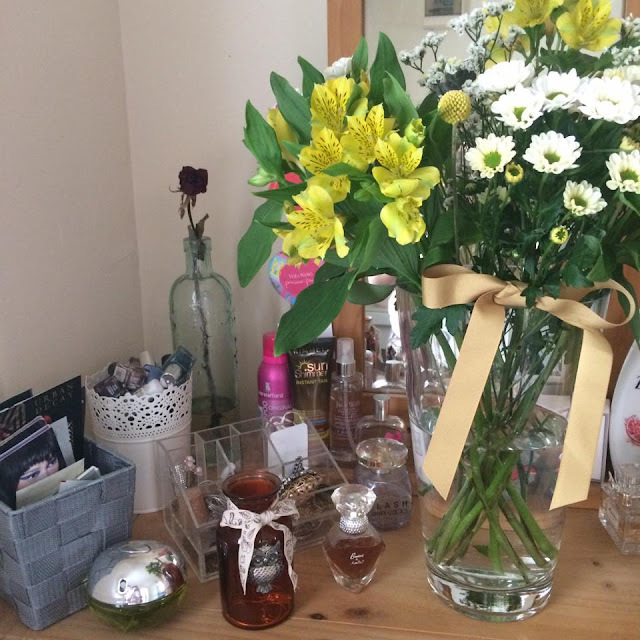 Flowers genuinely bring happiness to my life; they fill my room with positivity, nature's glow definitely has an emotional impact on my life. I know some people may think that's ridiculous but it is scientifically proven that nature, including flowers, can reduce anxiety, increase happiness, well-being and once received, creates an intimate connection with family and friends. 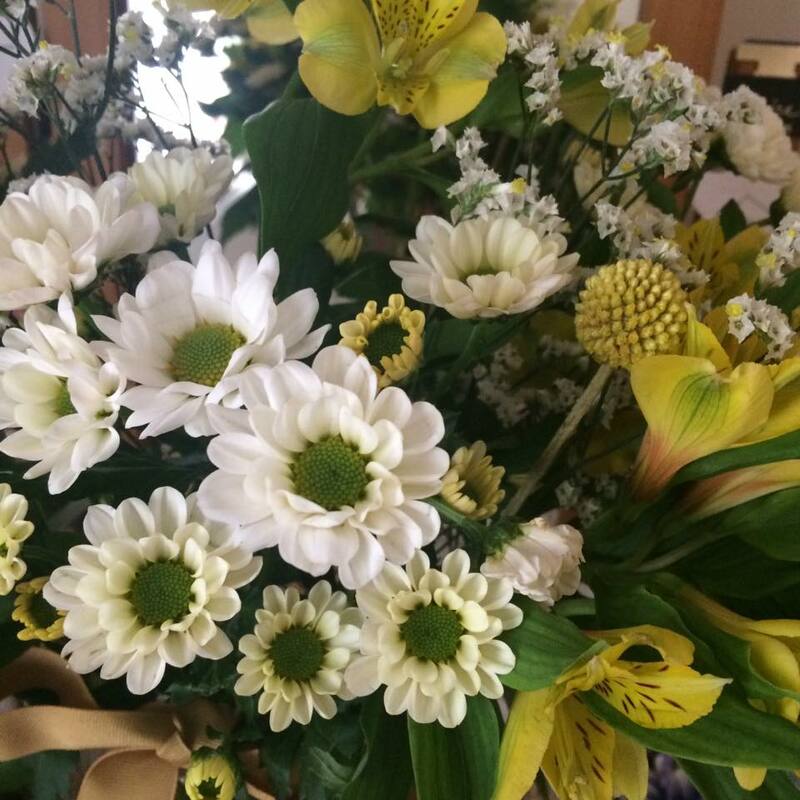 When I got in touch with Bloom and Wild, I was so excited to try out their unique flower delivering service. 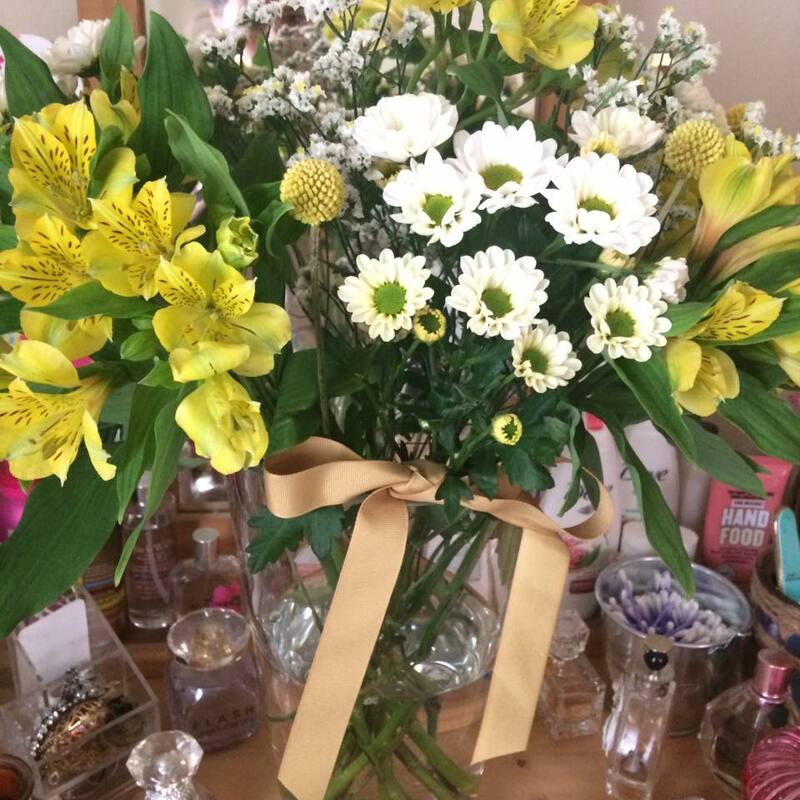 I had heard so much about them through social media and was extremely eager to receive my flowers - through my letterbox! Two days after packaging up my beautiful flowers, my Bloom and Wild delivery appeared swiftly through my letterbox. I honestly found their service so unique, as delivering flowers usually requires a huge box which can only be delivered when people are present. This unique 'letterbox' delivery worked incredible in my home; my parents are out working all day and my brother and I attend school so we don't have to mess around collecting extra parcels from the post office. 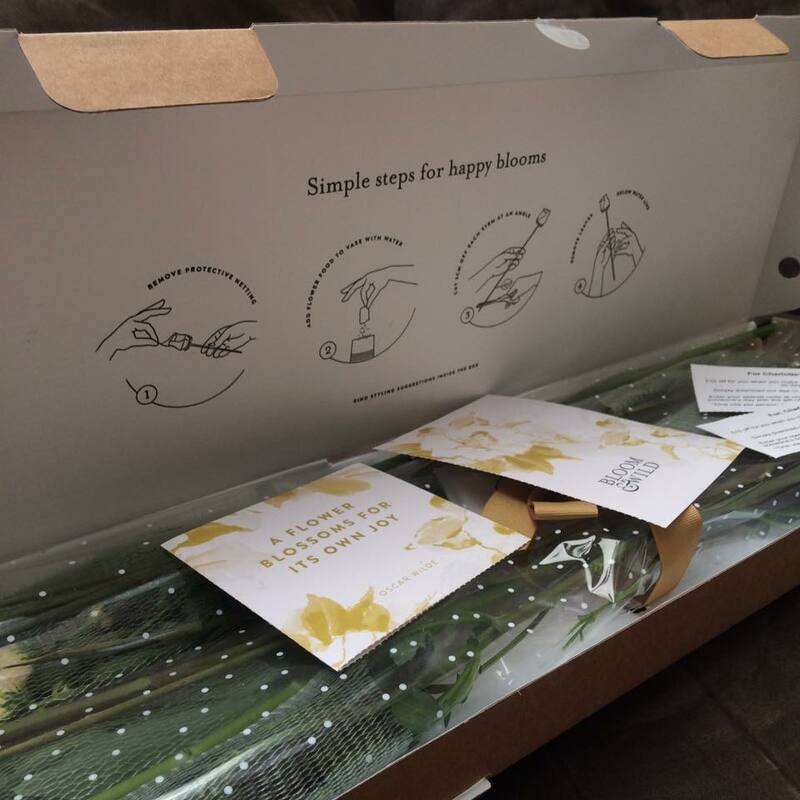 On opening the sleek, cardboard box, the flowers lay neatly wrapped in netting, a protective plastic cover and a decorative ribbon. I love when companies take the time to package their products in special ways; I believe it makes the customer feel special and happier. Also, along with some lovely voucher codes which I will share with you at the end, my stunning flowers were accompanied by some flower food and instructions. Kindly, I was gifted with the beautiful 'Charlie' bouquet. This set can be sent for £20 to an address of a loved one, which I feel is a reasonable price for a stunning arrangement. 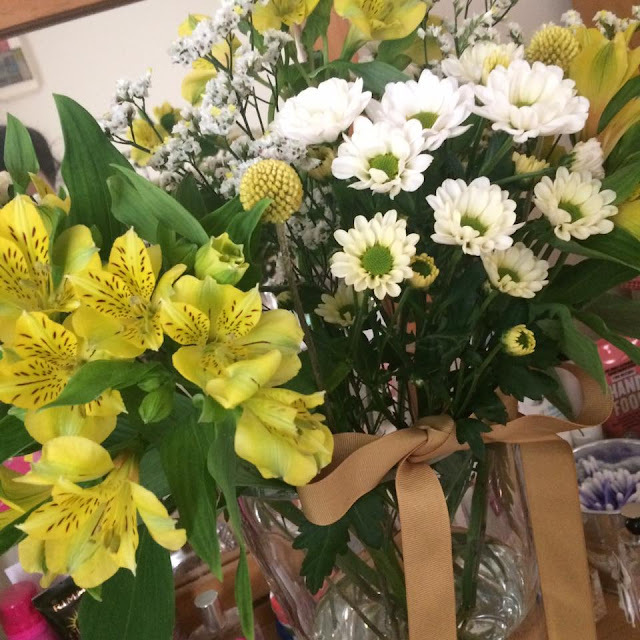 My bouquet consisted of an brightly coloured array of alstroemerias with bright yellow craspedia; the craspedia are a form of daisy which progress to achieve a similar yellow tone to the other flowers. The Bloom and Wild team advise the craspedia to be a lovely keepsake - I will definitely dry and imprint these so I have a memory of this lovely opportunity. Within 24 hours of putting the budded flowers in water, along with the flower food, they are supposed to blossom. Honestly, I would say these bloomed within 12 hours - the flower food acted quickly and had a lasting effect. 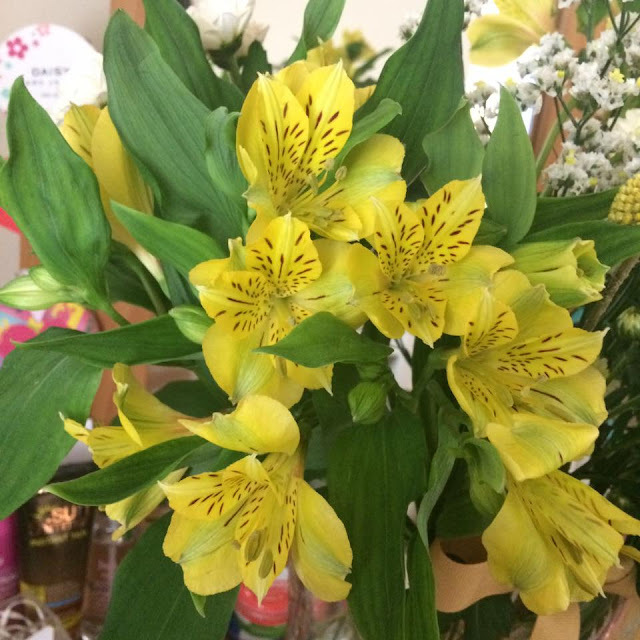 My mum told me she loves alstroemerias but tends not to buy them as they wither in a couple of days; however, the food clearly increased their life span as they only began wilting 3 and a half weeks after placing them in my vase. Overall, I would totally recommend the Bloom and Wild service - from swift delivery to an everlasting natural beauty perched on my windowsill. In the future, I will most certainly turn to this flower service whether it be to thank someone, send a good luck, an additional birthday gift or treat my mum on mother's day. 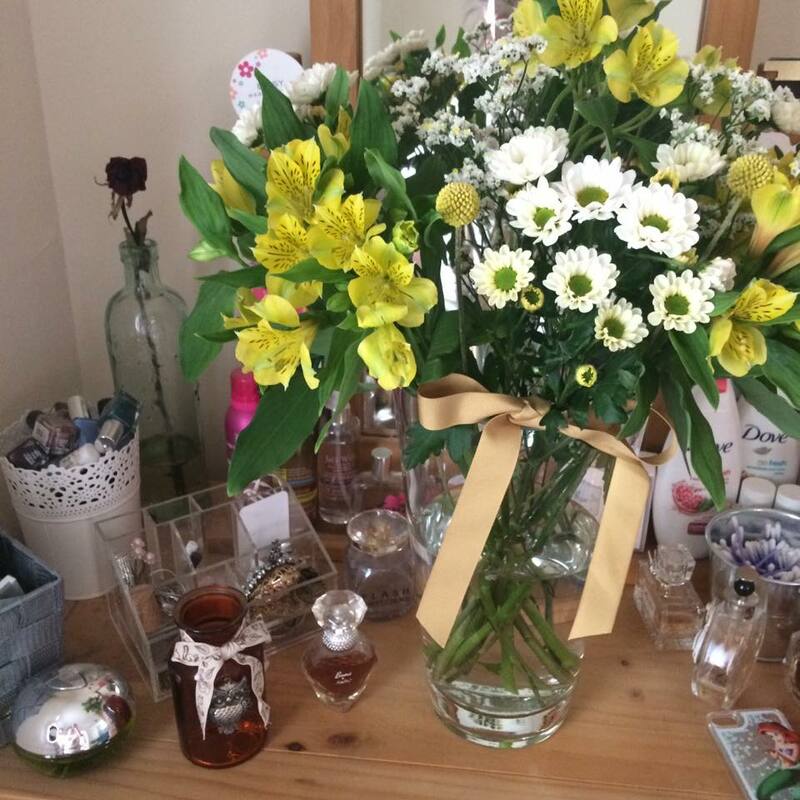 What are your favourite types of flowers? Do flowers make you happy? This post is in collaboration with Bloom and Wild. However, all opinions are honest and my own. I called at noon to pick up a birthday arrangement ASAP (no prior warning, I was just doing things at the last minute as always). It should also be noted how fragrant the flowers were. San Francisco Flower Delivery is just delightful! I was late for her birthday and called them for fresh flowers bouquet to get deliver at exact location where I want to send flowers. It was all my luck to get Bangalore Flower Delivery at my phone and got such lovey flowers like yours to my place.